10 days, 10 design studios, 10 double spreads. Vienna Design Week (special thanks to Elli Schindler) invited us to turn our festival impressions into a double spread for the limited edition anniversary magazine. Our observations on the festival involved spatial position, time, and object that are reconfiguring themselves. Like spatial position, TEMPORALITY is an intrinsic property of the object. 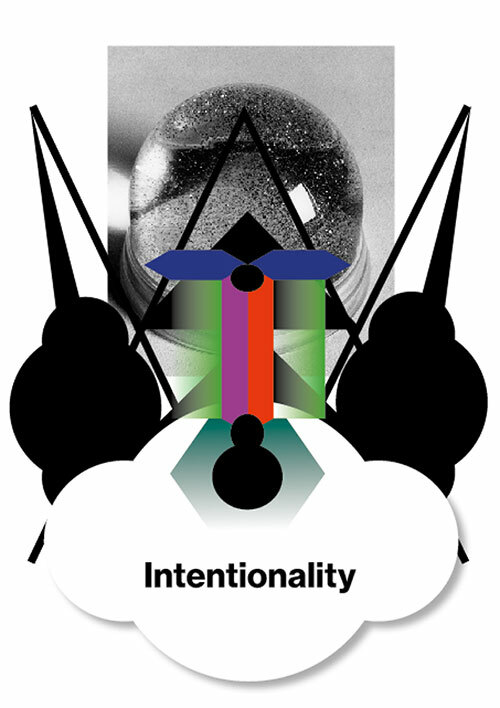 INTENTIONALITY can be defined as the "aboutness" or "directedness" of one's mental states or acts (in reflection on Edmund Husserl and Franz Brentano) – e.g. in the act of creation.